Jacob Pebley will make his individual debut on day 6 in the men’s 200 back. Lithuanian Ruta Meilutyte has opted out of competing in the women’s 200 breast on the final day of competition. Lithuanian born swimmer, Rūta Meilutytė, has the distinction of being the first and only swimmer in history to win all achievable swimming titles in all age groups. In 2010, at just 13 years old, she broke her first Lithuanian swimming record in both the women’s 50 meter and 100 meter breaststroke. 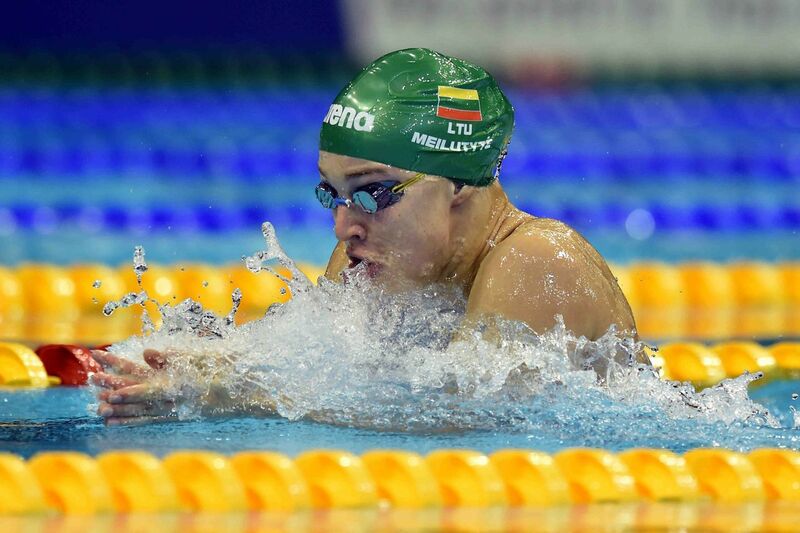 Born in Kaunas, Lithuania on March 19, 1997 to Sauilus Meilutis and Ingrida Meilutienė. At the age of four, Ruta’s mother was killed in a car accident. While her father lived abroad, Ruta was raised by her grandmother until she reached her teens. Ruta begin swimming at the age of seven and while she is not considered tall, her feet have always been like flippers, now wearing a size 44 shoe, which is equivalent to a size 13 women’s in the United States. In 2010, she moved to Plymouth, England (the south west of England), with her father, a nurse for people with different abilities, and her two brothers, Margiris (age 20), a law student, and Mindaugas (age 24). Meilutyte first burst on to the scene in 2010 when she broke the Lithuanian records in the two sprint breaststrokes at just 13 years old. In 2012, Meilutyte became the youngest Lithuanian swimmer to be selected for their Olympic team. In her first event at the Olympics, she broke the Lithuanian record and the European in the 100 meter breaststroke with a time of 1:05.21. In the finals she won gold, but did not lower her preliminary time. While she did not make the finals in the 50 meter freestyle, she set a new Lithuanian national record of 25.55 seconds. She also competed in the 100 meter freestyle. For all of her success, Ruta was named 2012 best European young athlete of the year by the European Olympic Committee. At the 2012 FINA World Championships, Meilutyte continued her rise to stardom winning the 50 meter breaststroke (short course meters) with a time of 29.44. 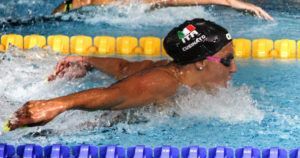 Each time she swam that event, preliminaries (29.56) and semi-finals (29.51) and then finals, she lowered the European record and the Championship record. She also swam the 100 meter freestyle, setting a Lithuanian National record of 53.54 seconds. Although she made the semi-finals of the 100 meter freestyle, she withdrew because it was too close to the 50 meter breaststroke final. Once again, Meilutyte lowered the 100 meter individual medley national record three times. In the heats with a time of 59.33, in the semi-finals with a time of 59.15, and in the finals with a time of 58.79, winning the silver medal! Her last event of the meet, the 100 meter breaststroke, she broke the Lithuanian national record in the heats (1:04.69) and then shattering it in finals (1:03.52) to win her second gold medal. At the 2013 World Championships, Meilutyte won gold in the 100 meter breaststroke and silver in the 50 meter breaststroke. 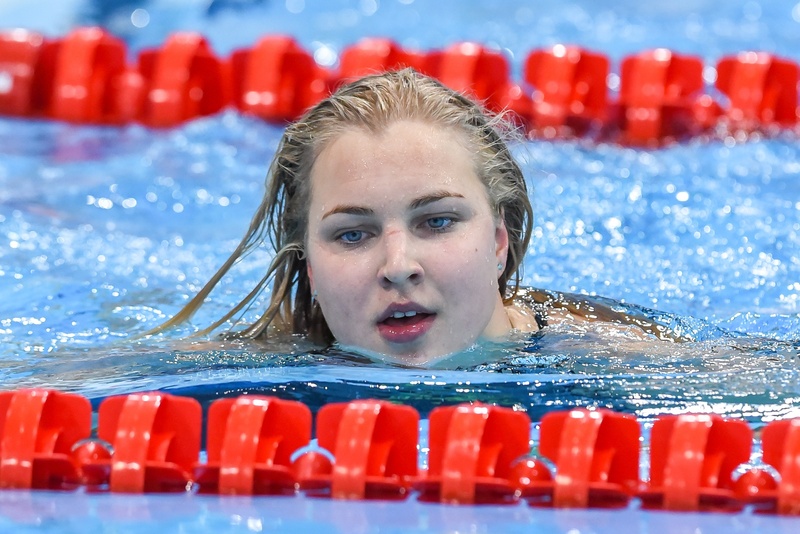 In the semi-finals of the 100 meter breaststroke, Meilutyte broke the Lithuanian, European and Championship record with a time of 1:04.35, becoming the first record holder of the championships. In the finals, she captured gold, just missing her earlier record swimming the time of 1:04.42. Meilutyte became the first Lithuanian athlete to break a swimming world record (after gaining independence from the Soviet Union in 1990). Meilutyte also competed in the 100 meter freestyle, though she did not progress to the semi-finals. 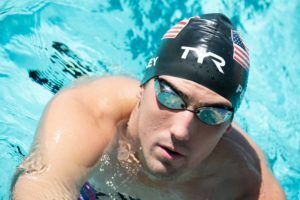 She chose not to swim the 50 meter freestyle, and concentrated on the 50 meter breaststroke. In the semi-finals, Meilutyte broke the world record with a time of 29.48. In the finals, she swam a very fast 29.59 and finished with the silver medal, behind Yuliya Yefimova (Russian swimmer). Ruta Meilutyte won gold in the 50 meter breaststroke (30.14), gold in the 100 meter breaststroke (1:05.39), and placed fifth in the 100 freestyle with a personal best of 55.17. 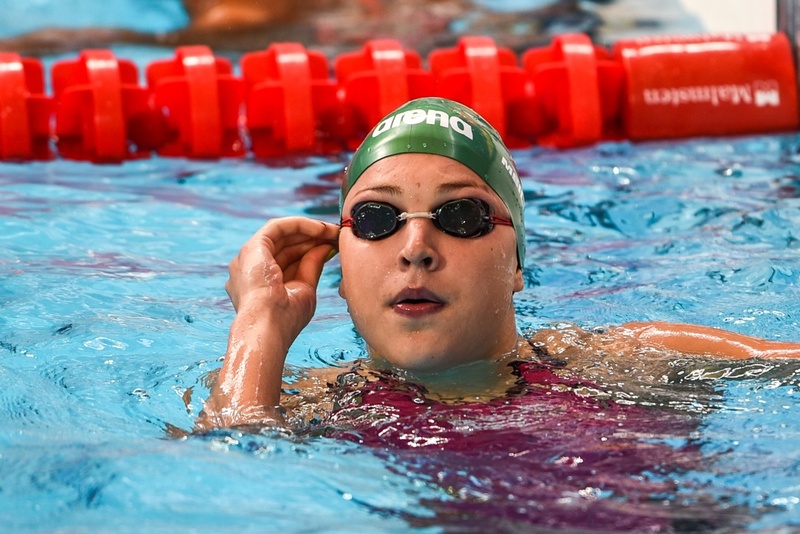 Meilutyte competed in only two events, the 50 meter breaststroke and the 50 meter freestyle. In the 50 meter breaststroke semi-finals, she broke the Championship record in 50-metre breaststroke, finishing with a time of 29.88 seconds, and then went on to capture gold nearly repeating her time with a 29.89. Having won the 50 meter breaststroke in swimming’s major events (Olympics, Youth Olympics, Fina World Championships, European Championships, Junior Championships, and Swimming World Cup) achieved the Aquatic Grand Slam, the first Lithuanian to do so, and the first Lithuanian to win a gold medal in the long course European Championships. At the 2015 World Championships in Kazan, Meilutyte competed in the 100 breaststroke where she won the silver medal with a time of 1:06.36, losing to Russia’s Yuliya Efimova in the finals. 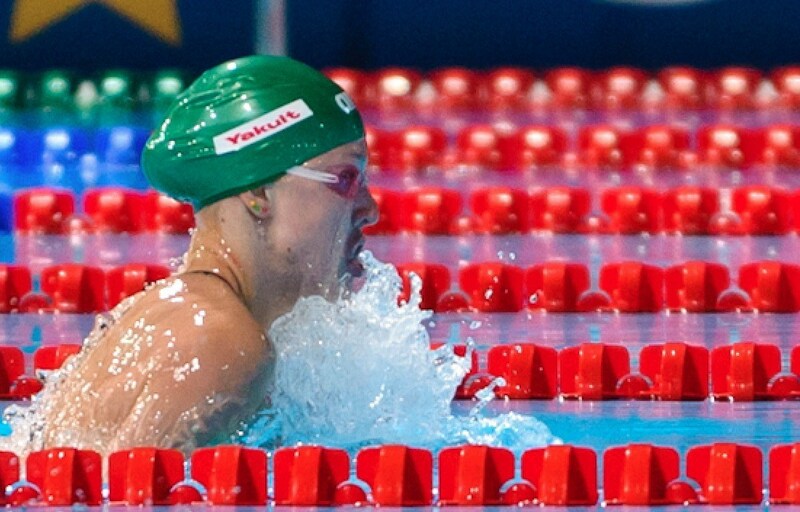 In the 50 meter breaststroke, Meilutyte failed to make the podium finishing in 4th place with a time of 30.14. In September of 2015, Meilutyte fell off her bike and broke her elbow which required surgery to repair. While she was set to make her return during the 2016 Euro Meet, Meilutyte withdrew from the competition citing complications from her elbow injury. With the 2016 Olympics quickly approaching, Meilutyte has some last minute rehab to complete to be at top form. 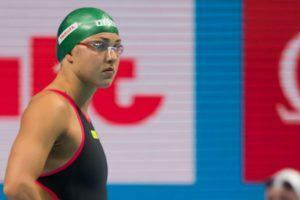 At the Edinburgh International Meet, Ruta impressively topped the field in the 50m and 100m breaststroke, proving the time off and healing from surgery has done little to affect her swimming. Her 1:05.82 was almost 2 full seconds ahead of the rest of the field and was the second fastest time that season. Rute advanced to the final heat of the 100 breast in a 1:06.44 out of semis, but fell to 7th place in the final, touching in a time of 1:07.32. Meilutyte finished fourth in the 100m Breaststroke with a 1:05.65. She was well off her previous World Record time of 1:04.35, which was broken by Lilly King, who swam a 1:04.13. She also finished 4th in the 50 breast, touching in 30.20 to just miss the medals again. Meilutyte returned on the top of the podium as she won the 50 breaststroke in 29.36. She was still 0.55 seconds off of her best time but this was her first European Championship title since 2014. On day four, Meilutyte won the 100 breaststroke going 1:03.79. She was the only swimmer under 1:04 as Finland’s Jenna Laukkanen took second with the time of 1:04.25. Ruta swam the 50 and 100 breast in Glasgow. She finished 2nd (1:06.26) behind Russian Yulia Efimova in the 100, and touched 4th in the 50 (30.46), just .05 outside of medaling. In Hangzhou, Ruta medaled in the 50 breast, touching 2nd in a time of 29.38, only behind Jamaican Alia Atkinson.